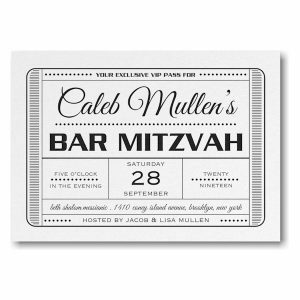 This contemporary Bar Mitzvah invitation is foil stamped on Black shimmer card stock and features an art deco design displayed with your wording details. Other paper colors are available! 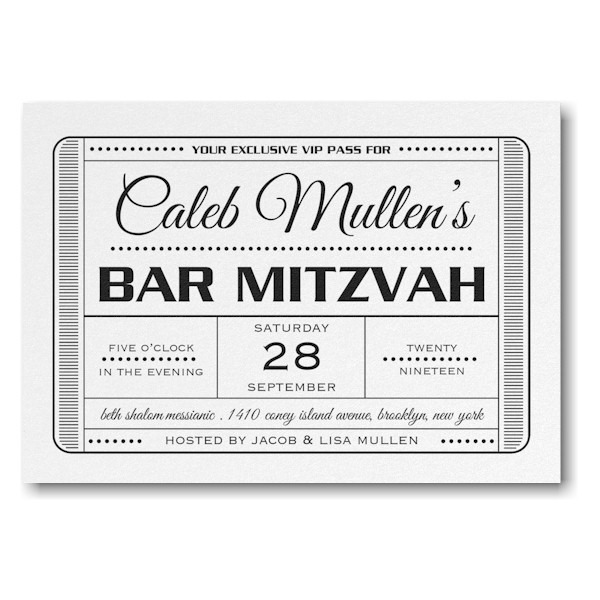 This contemporary Bar Mitzvah invitation is foil stamped on Black shimmer card stock and features an art deco design displayed with your wording details. Measures 7″ wide by 4-7/8″ high. 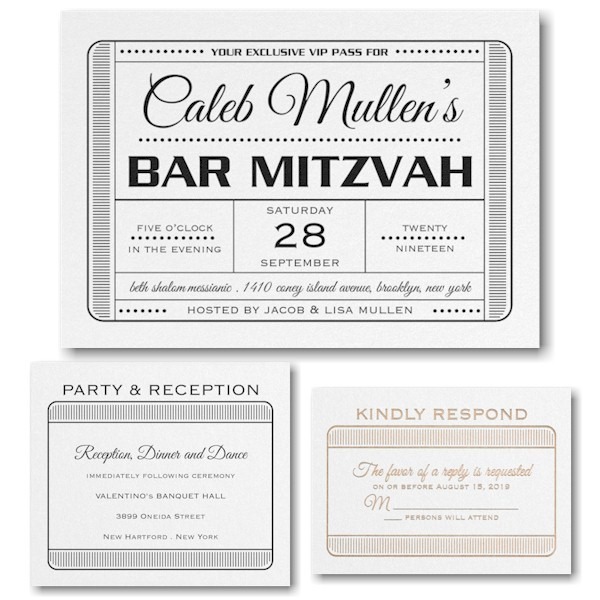 Shown with Copper foil stamping and combination lettering styles CPG/GVB. 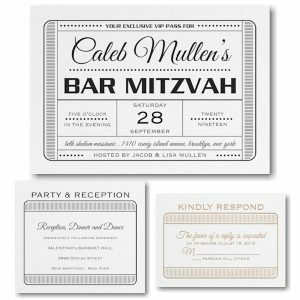 The Reception enclosures will print on matching single card stock and the Response enclosures will print on Ecru shimmer card stock (for ease of writing). The Informal notes will print on Ecru shimmer folder stock. 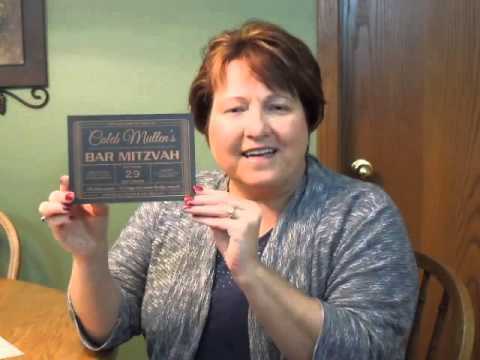 This Bar Mitzvah invitation comes with single Ecru shimmer envelopes.